DM talks to DM is a time-travel/data recovery project with a 31 year span. 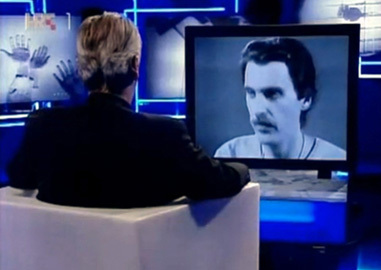 In 1978 artist made a performance as TV interview in which he posed questions to himself. The questions are recorded on videotape. The answers to these questions artist gave during live TV show �?�Other Format�?? broadcast by Croatian Television in the year 2010.